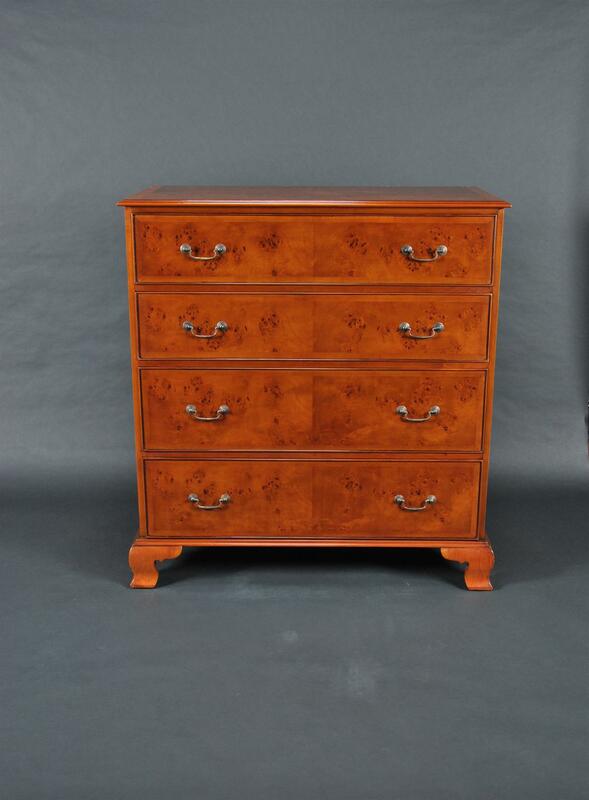 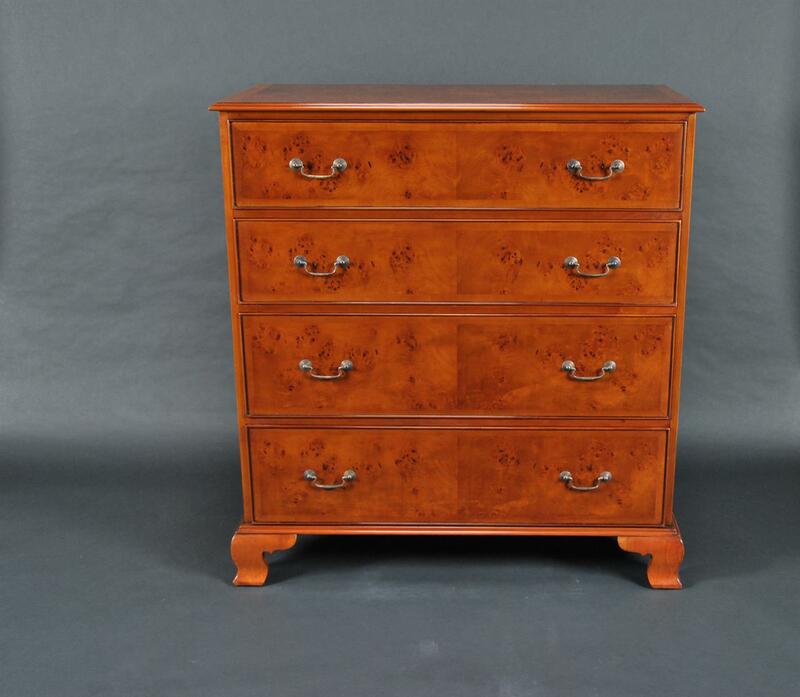 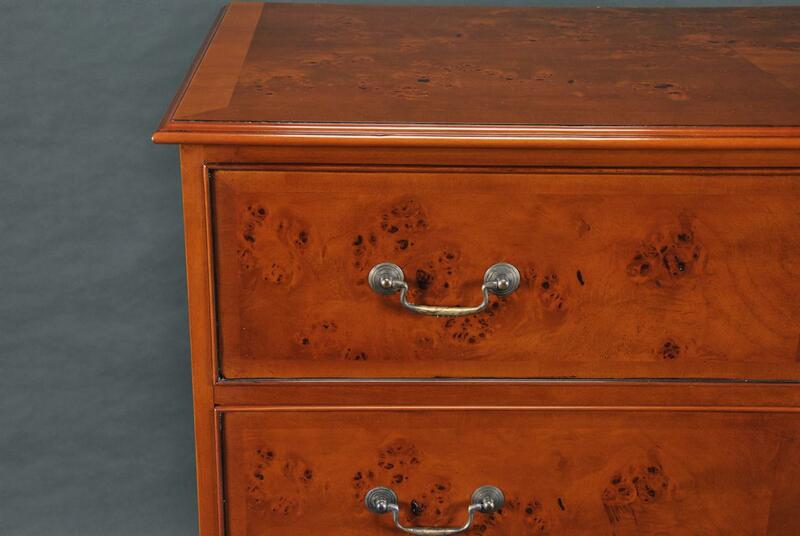 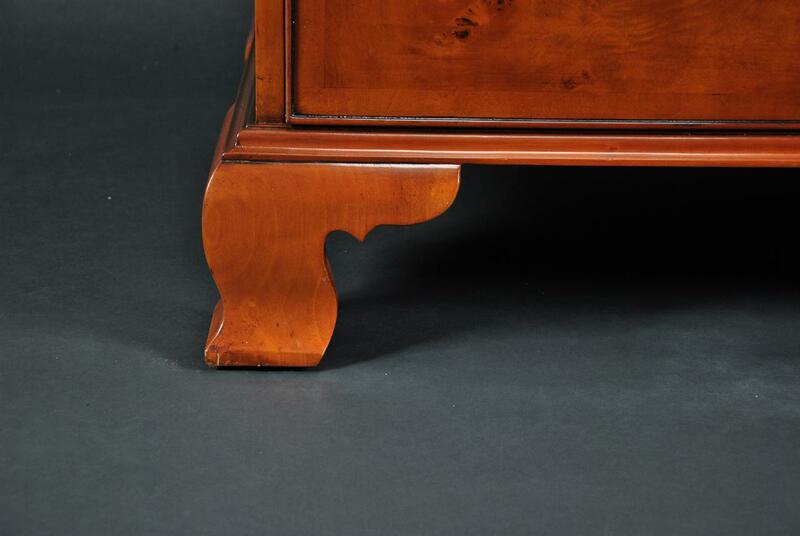 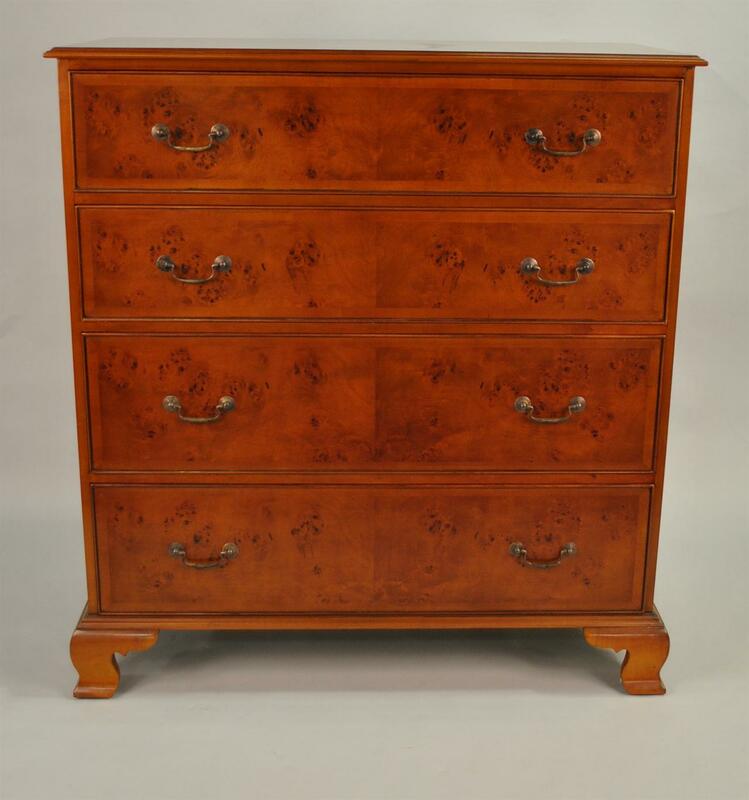 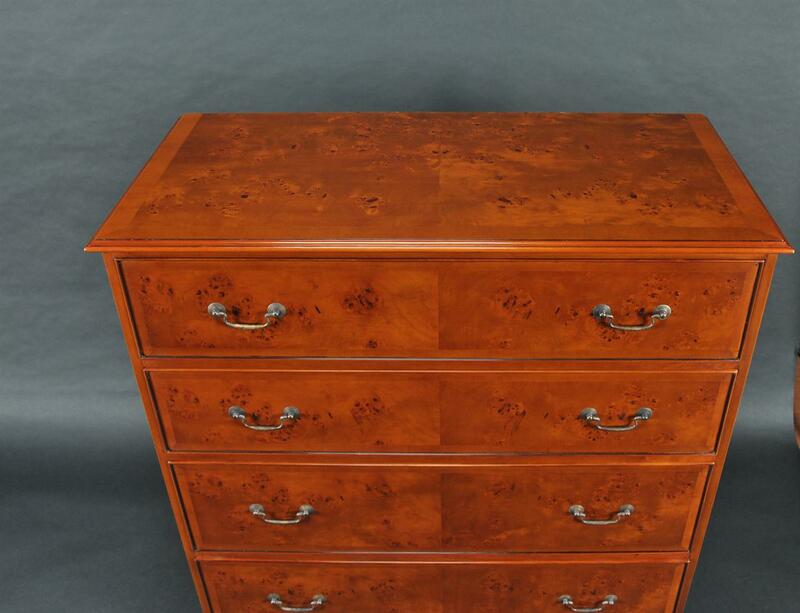 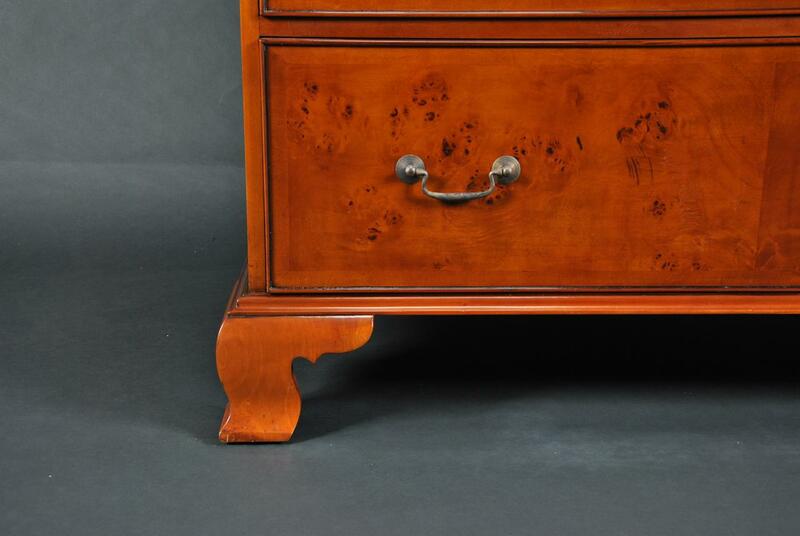 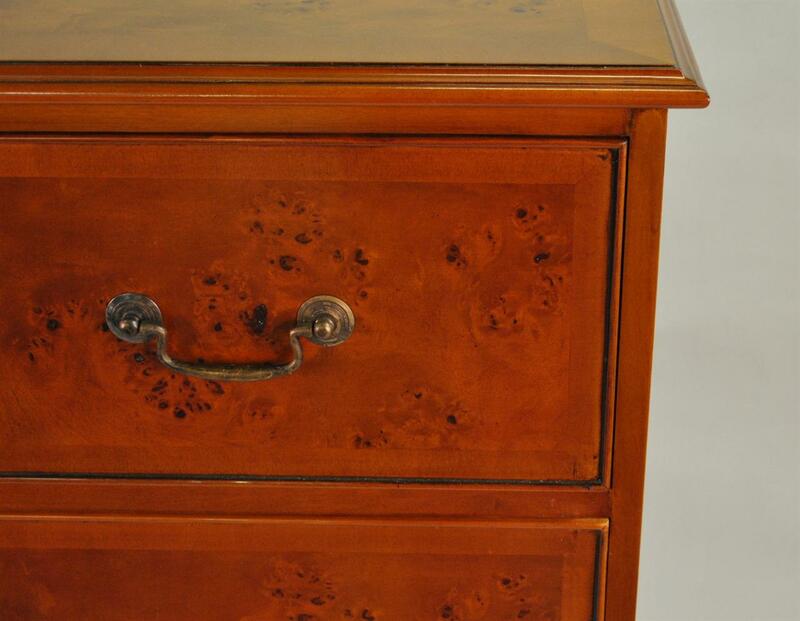 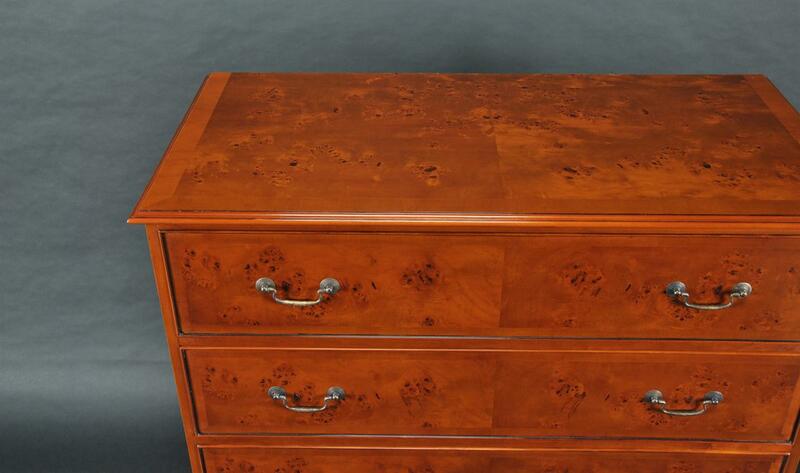 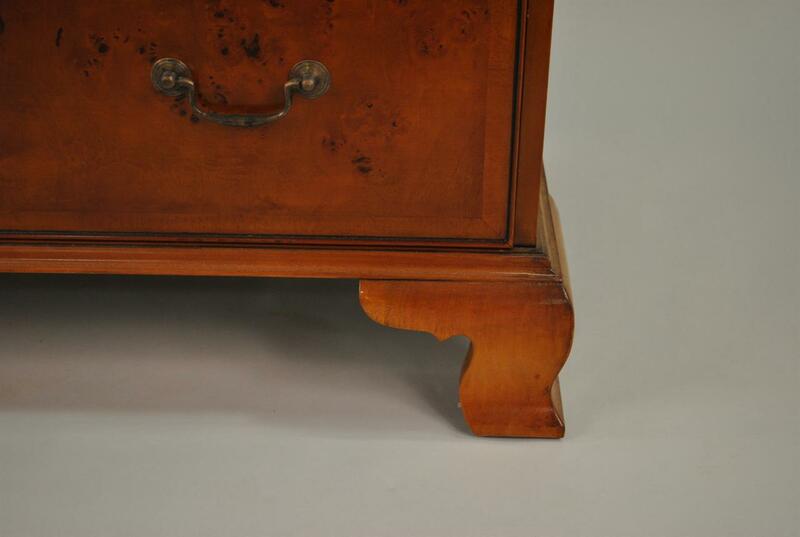 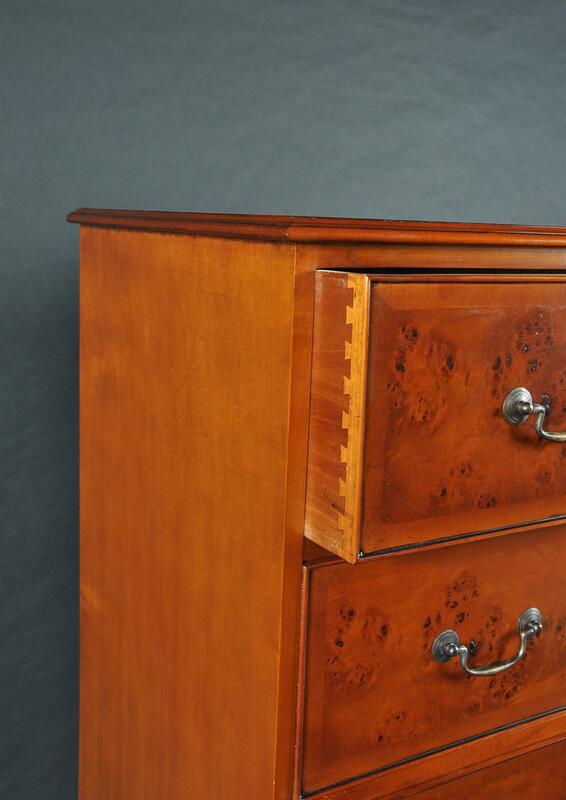 Description: An English style chest of drawers with beautiful burled veneers on the drawer fronts and top. 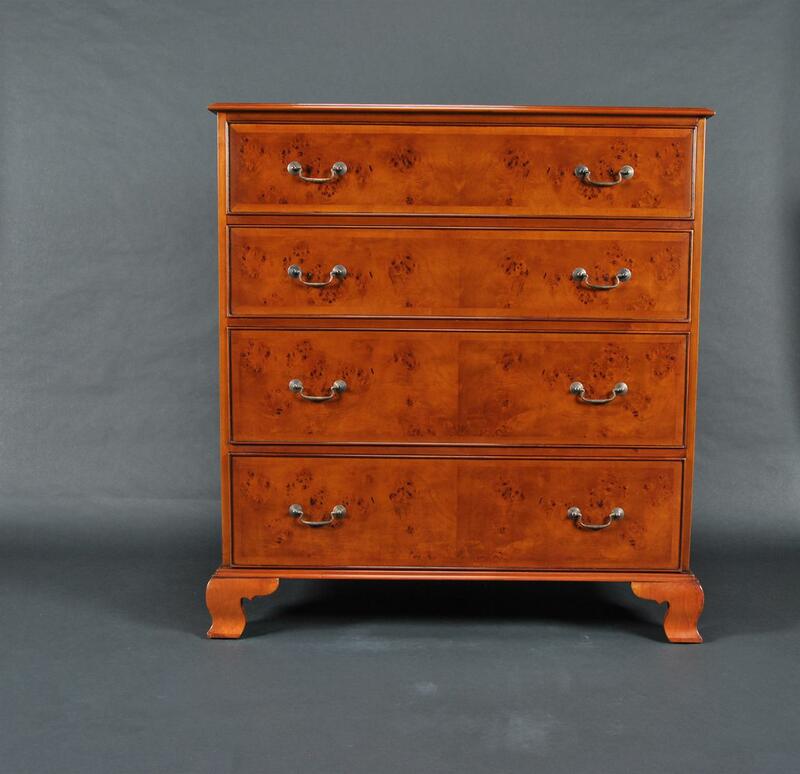 An eye catching item which will help resolve storage issues in any room of the house with its deep, dovetailed drawers. 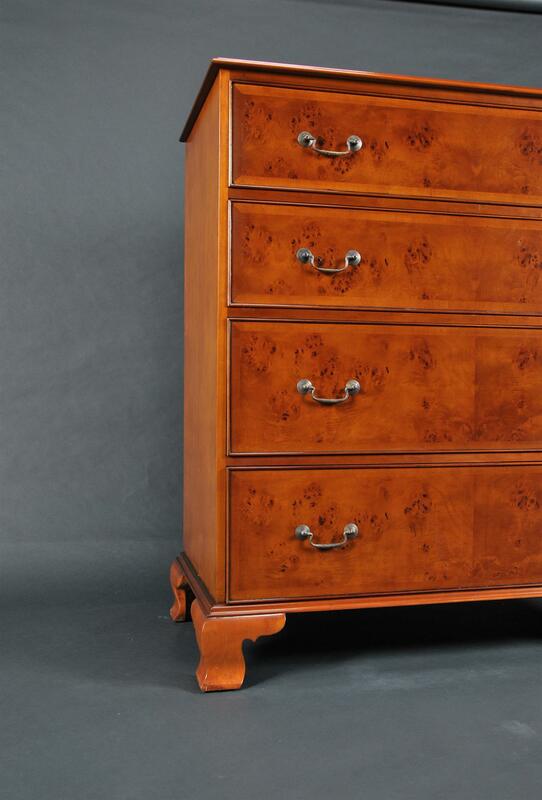 Solid brass hardware and a screwed frame construction give this chest strength and durability to last a life time.